This page is biased towards UK riders and UK sources of spares, though overseas owners may still find it useful. Please note this website isn’t endorsing any of the suppliers listed below, although all are listed from personal experience and word of mouth among other Futura owners. 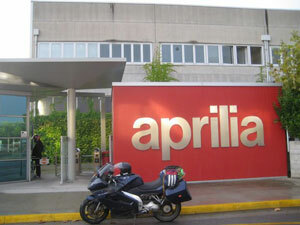 Let’s face it, Aprilia have a bad reputation as far as spare parts are concerned. The factory shuts down for a month or so every August, and many parts are not held in stock in the UK, which means ordering it from Italy. There are horror stories of people waiting months for the most basic parts. But it needn’t be like this. For a start it helps that many parts are interchangeable with other Aprilia Vee twins, but also it’s possible to order them from the US, where more parts are held in stock by the American importer, AF1. It’s easy to buy from them, so long as you don’t mind risking paying import tax. The ApriliaYorkshire website, now taken over by Ultimate Parts, has an online Futura parts fiche and price list. Best make sure you’re sitting down to view these pages. A stiff drink might be required, also – once you’ve seen the prices. I don’t have any information on how good their service is. Follow the link to visit their website: Ultimate Parts Futura pages. Also in the UK, Emoto stock a range of official and aftermarket parts. Fuel quick disconnect (QD) This one’s a must if it hasn’t been done. Rear suspension link bearings and seals. Note: the seals are 1mm thicker – just tap the bearings in an extra 1mm. Breakers remain a good source of used spares, though many come from crashed bikes so beware of bent parts. E-bay is also a good place not just for nabbing privately-sold parts and accessories, but also tracking down bikes in breakers. It’s common for owners to trade in the bike as standard then sell all the aftermarket bits on ebay. Also look out for mis-spellings, such as Aprillia and Futra, and track down a bargain. It remains the best place to get panniers – usually at about £150 to £250 a set – and fairing panels go for a fraction of their new price, although top fairings remain difficult to find used.